MacGregor, part of Cargotec, has signed an agreement to acquire Rapp Marine Group (RMG) in order to strengthen its offering for the fishery and research vessel segment. MacGregor's existing portfolio includes already various deck handling equipment, such as cranes and booms, but with RMG, MacGregor is able to offer complete solutions with advanced winches and related control systems. The enterprise value of the acquisition was approximately EUR 16 million. "We are happy to join forces with MacGregor and be part of the company. The agreement will benefit the niche customer base, which will be now offered a wider portfolio of safe and efficient equipment from one provider to their specific vessels," says Terje Arnesen, CEO of RMG. "I am happy to see that Rapp Marine Group, under our five years of ownership, has developed to become a global leader in providing winches and related equipment to fishery and research vessels. Many of these projects have been developed and delivered in close cooperation with MacGregor Triplex, and as such I am convinced that the positive development in RMG will continue under Macgregor's new ownership," says Bjørn Hesthamar, managing partner in Nord Kapitalforvaltning, the PE-company now selling RMG. "MacGregor has a strategic interest in widening services for customers within fishery and research segment. Products needed for these demanding vessel types have to be safe, robust and reliable with a good after sales network," says Michel van Roozendaal, President, MacGregor. 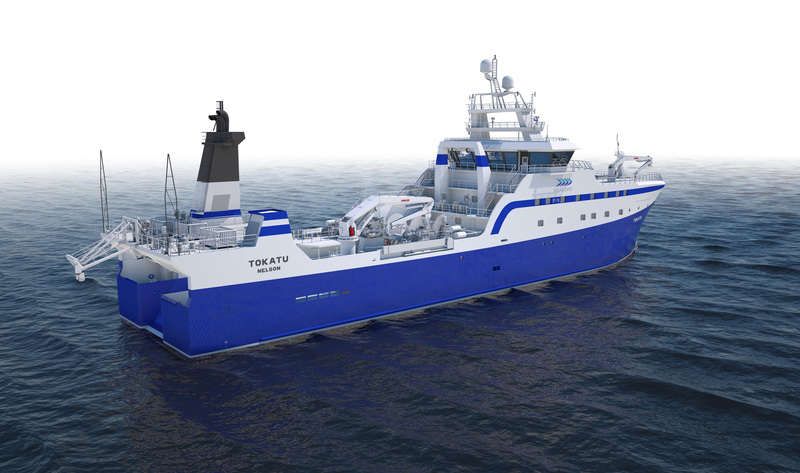 "This is exactly what our combined offering is able to provide, be it fishery segment that operates in harsh conditions, or solutions needed for research vessels to handle sophisticated tools and equipment". "With MacGregor's Triplex deck handling portfolio we already today have a very strong position in the fishery and research segment and with this investment as part of our growth strategy we are able to further strengthen our position," states Høye Høyesen, Vice President, Advance Offshore Solutions, MacGregor. The results of RMG business will be consolidated in MacGregor business area results once the transaction has been completed which is expected during the first quarter of 2018. RMG employs about 120 people with main locations in Norway, the USA and United Kingdom. The sales in 2017 is estimated to be approximately EUR 40 million, of which approximately 30% is related to service. RMG's profitability (EBIT-margin) is on the same level as MacGregor's current profitability.